Internet of Things technology holds the potential to revolutionise the healthcare industry, but not before overcoming barriers of security and data ownership. Internet of Things (IoT) refers to any physical object embedded with technology capable of exchanging data and is pegged to create a more efficient healthcare system in terms of time, energy and cost. One area where the technology could prove transformative is in healthcare – with analysts at MarketResearch.com claiming the sector will be worth $117 million by 2020. By embedding IoT-enabled devices in medical equipment, healthcare professionals will be able to monitor patients more effectively – and use the data gleaned from the devices to figure out who needs the most hands-on attention. In other words, by making the most of this network of devices, healthcare professionals could use data to create a system of proactive management – as they say, prevention is better than the cure. Speaking with Computerworld UK, Leon Marsh, CEO of body-sensing technology firm Inova Design Solutions, incubated by IoT-specialist incubator Breed Reply, says the IoT market is about a continuous way to perform non-invasive and accurate monitoring. “If issues arise, they will be apparent before it becomes an emergency situation,” Marsh explains. And telepresence could prove a big win for remote healthcare – whether that’s before or after a visit to the doctor’s office or the hospital. Health tech’s biggest advocates believe efficient remote health could dramatically cut down on the necessity for routine reviews and checkups. Patients would also be allowed to leave hospitals and clinics earlier, as professionals are enabled to monitor them from home rather than keeping them in hospitals for observation. Britain’s National Health Service announced its Test Bed Programme in 2015, with the first trials taking place from the start of this year https://www.england.nhs.uk/ourwork/innovation/test-beds/ . The Test Bed Programme is a way to experiment with health technology, including IoT-enabled devices – one such trial provides connected tools to people with Type 1 or Type 2 diabetes and allows them to more effectively self-manage their conditions from home. The Technology Integrated Health Management (TIHM) Test Bed, meanwhile, is led by the Surrey & Borders NHS Foundation Trust in conjunction with a number of universities, charities, technology companies and health societies. It aims to introduce IoT-enabled technologies to 700 people suffering from dementia and their carers – equipping people with sensors, wearables, monitors and other such devices to monitor their health at home, hopefully allowing them to stay within their own homes for longer. According to the England NHS website, the project ultimately aims to “prevent or delay the need for costly long-term care in nursing homes” – plus reducing the need for unplanned hospital admissions or GP visits. Ideally, the objective data that could be taken from a network of IoT devices will also be able to significantly lower margins of error. And in the predictive realm, it could, for example, be able to detect the onset of a wide range of health issues, from high blood pressure to early signs of delirium. Emergency admissions could then, in theory, be reduced – with proactive health systems in place to address the problems before they become more serious or irreversible. More generally, data from a network of IoT devices has the potential to transform the check-in process, filling in past health data for professionals to review automatically. That could be anything from blood pressure to weight. Some businesses want to make it possible to attend a full healthcare appointment from the comfort of your home, so health specialists from around the world can provide a consultation or even diagnosis from hundreds of miles away. One such app is Babylon, which recently acquired $25 million in investment funding led by Investment AB Kinnevik. Babylon is an app for iOS and Android devices that allows users to talk with a wide range of trained professionals, from therapists to doctors. It’s not difficult to imagine well-designed apps becoming a common facet of patient-centred care, allowing people to monitor themselves on a daily basis and note any questions or concerns to forward on to their healthcare provider. Self-monitoring is also meant to create an aspect of control for the user, and could even help to provide a deeper understanding of one’s own illness –as some people tend to get overwhelmed or confused in the clinical environment of a doctor’s surgery or hospital. But technology on its own can never be viewed as a panacea, and there are certain roadblocks in place that threaten to slow adoption. One such concern is security: people sometimes feel uncomfortable knowing that their highly personal data is being stored and accessed. Patient record systems need to be heavily secured, and as such, it can prove difficult for new, off-the-shelf devices to access all the necessary information. Data security requirements could hinder some of the useful functions of devices and prevent patient records from being retrieved. Explicit user consent would need to be in place before a network of devices could speak with each other and integrate all of this data. Whether it’s private healthcare or public hospitals, health organisations will need to adjust their security policies to specifically adapt to the oncoming wave of IoT. Companies and healthcare organisations will need to join up their policies to allow for the secure accessing of information, while also stringently protecting the content from being hacked. As every data leak from the NHS has shown, people are fiercely wary of their medical records, not to mention other information that hospitals could hold, like finance and national insurance numbers. Hackers would, no doubt, be interested in this treasure trove of information – whether for financial gain or anything else, for example, reputation or blackmail. Inova Design’s Leon Marsh believes that there’s “clearly” an issue around who owns the data, how it’s used, how it’s held, and how secure it is. From an operational perspective, there’s the challenge of bringing in people and systems to manage and make the most of this enormous jumble of data itself. And so, according to Marsh, the way forward could be in better infrastructure, improved data regulations, bolstered security, while at the same time reducing red tape for trusted IoT companies to generate and access this data. Of course, there’s no shortage of policy makers, businesses, NGOs, charities and public trusts who are interested in leveraging technology in health in the most efficient way possible – there are a raft of conferences that, if not focused wholly on health tech, touch upon it. 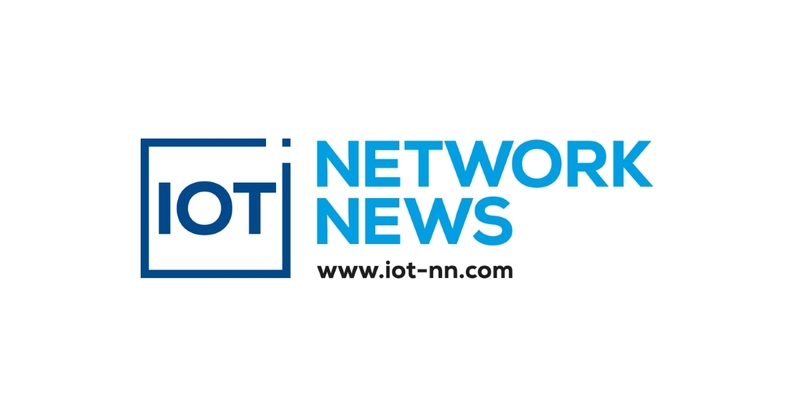 One is Healthy IoT, an international event that is coming up to its third year, covering topics ranging from data streaming to security and privacy. A shift toward IoT and apps in the field of healthcare allows any company to essentially become a ‘healthcare provider’. But time will tell if the proper precautions are in place to win over professionals and patients to making the most of IoT in health – a market that, if tapped into correctly, has considerable potential in well being and in business.